red is one of the hottest colors for this fall and winter! 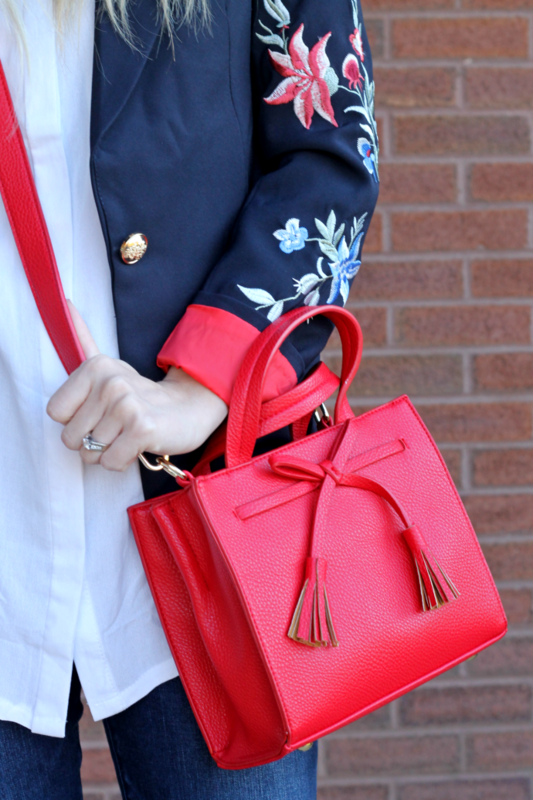 seeing this bag in store was amazing and I just had to have it as my pop of red this season 😉 I don’t typically wear red but I can totally do it in small doses. 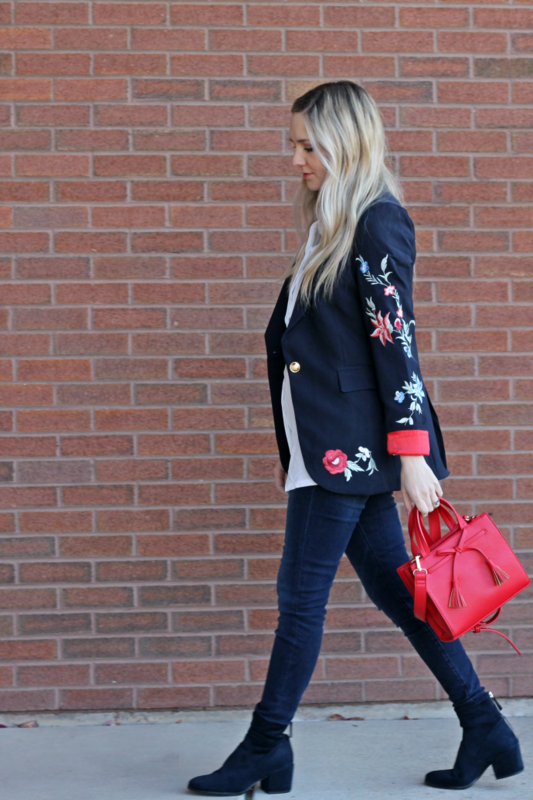 the embroidery on this blazer is incredible and yet again, nailing two more trends with this jacket! 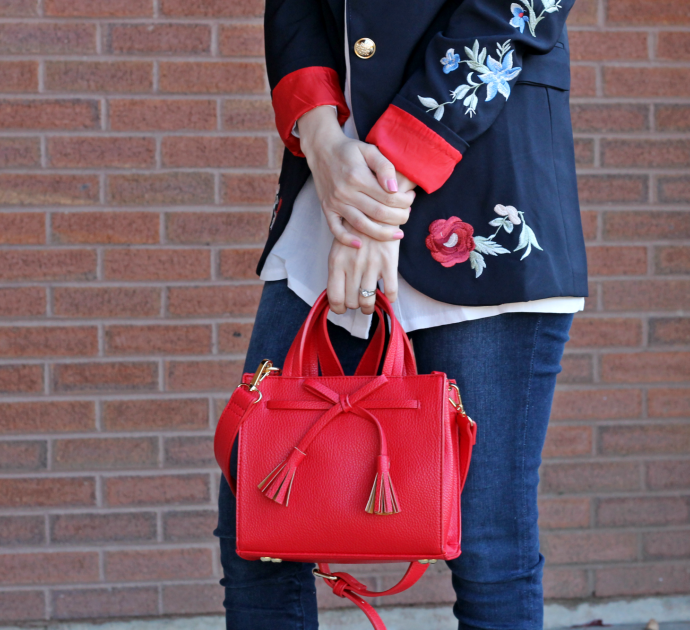 military style / blazers and embroidery! both of which I’m LOVING right now! finding unique pieces like my blazer can be hard especially when you’re on a budget or if you don’t want to splurge on a trend that may not be around forever 😉 that’s where Romwe comes in. Romwe has a fabulous selection of clothes and accessories that are right on trend that are fit for ladies with real budgets! 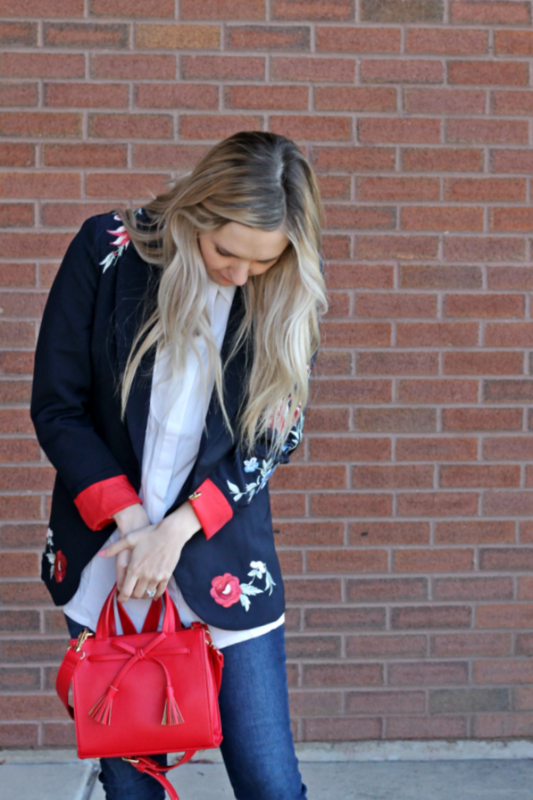 there’s something so timeless about a blazer but keeping it cool and on trend with the embroidered flower details and pops of red. it’s fun to style typically ‘work place’ pieces such as a blazer for different occasions .. how would you style a blazer in a more casual way? I’m really excited about red being such a hot color this season, and trust me you’ll see it even into next spring and summer 😉 so it really wouldn’t be a bad thing to invest in a few cute red pieces for your closet 🙂 I’ll link below what I’m loving! thank you so much for reading! I hope you have a fabulous thanksgiving tomorrow! .kisses, pink & 3 years. Previous Post .ultimate gift guide.